The Scottish Parliament’s Social Security Committee launches inquiry into social security support for housing. The Scottish Parliament’s Social Security Committee has launched an inquiry into social security support for housing and has called for views. The purpose of the inquiry is to assess the impact of social security on tenants and on landlords, both in the private rented and social rented sector. In particular, the committee wants to know how the administration of Universal Credit housing costs impacts on the ability of tenants to pay their rent and landlords to administer rent payments as well as how Universal Credit Scottish Choices and Discretionary Housing Payments impact on the way landlords and tenants handle Universal Credit housing costs. The inquiry will endeavour to identify what improvements could be made to reserved and devolved systems, including the way they interact with each other. 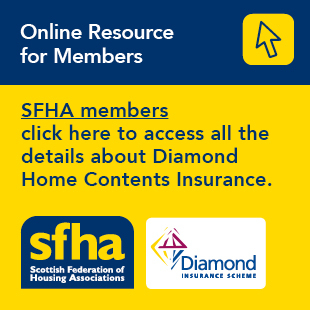 The SFHA will be making a submission and is keen to hear the concerns of members. A round table event will be held in the SFHA offices in Glasgow on Monday, 25 February, between 2pm and 3:30pm. The event is free but places are limited. Booking can be made via Eventbrite, or please contact Policy Advisor Jeremy Hewer to reserve a place.